Need to find a great banquet hall to hold your special events. Achieve a romantic wedding reception or glamorous party venue by booking a banquet hall at Occasions Unlimited in Baker, LA. Our opulent event facility has become a local favorite for hosting weddings, birthday parties, corporate gatherings, and other special events. Tell us the occasion you want to celebrate, and we will have our hall decorated to your satisfaction. There are special inclusions in the packages we offer for renting our facility for weddings and other parties. 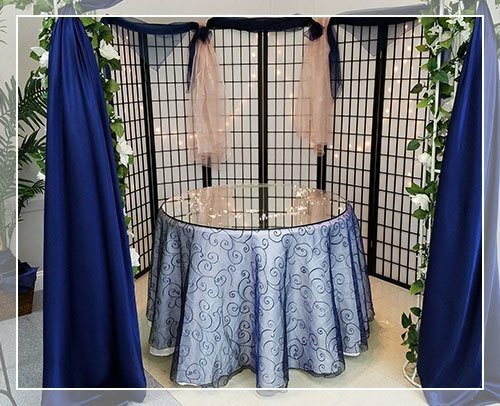 Apart from event decorations, we will supply all the tables and chairs, decorative chair sashes, and table centerpieces that you need. In addition, we provide a professional staff that will help coordinate your reception and an in-house DJ who will be in charge of entertainment for 4 hours. Please take note that most of our bookings are scheduled on Friday, Saturday, and Sunday evenings; events end at 12:00 midnight; and rental of the hall can be extended up to 1:00 AM with the approval our owners. We accept reservations for other celebrations and meetings that are important to you, your family, or your colleagues. Make us your preferred event facility! Get in touch with us today to inquire about our services or to schedule an appointment. Our representative will gladly assist you with your concerns.